Gail Anderson-Dargatz has been published worldwide in English and in many other languages. A Recipe for Bees and The Cure for Death by Lighting were international bestsellers, and were both finalists for the prestigious Giller Prize in Canada. The Cure for Death by Lightning won the UK’s Betty Trask Prize among other awards. Both Turtle Valley and A Rhinestone Button were national bestsellers in Canada and her first book, The Miss Hereford Stories, was short-listed for the Leacock Award for humour. Her most recent novel, The Spawning Grounds, released in fall 2016, was again a national bestseller. 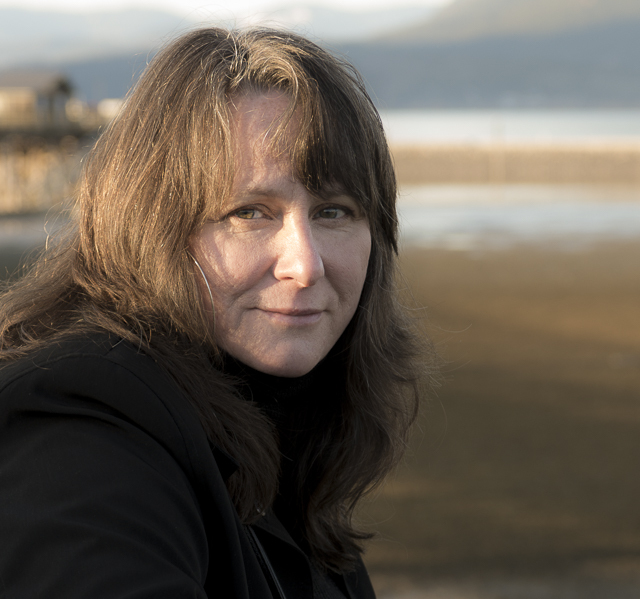 After nearly a decade of teaching within UBC’s optional-residency CW MFA program, Gail now works with writers from around the world through her on-line teaching forums. She also hosts The Spawning Grounds Writers’ Retreat in October at the Sorrento Centre, BC, and the Providence Bay Writer’s Camp on Manitoulin Island, ON, in July. For more, please visit her website at www.gailanderson-dargatz.ca or follow her @AndersonDargatz. 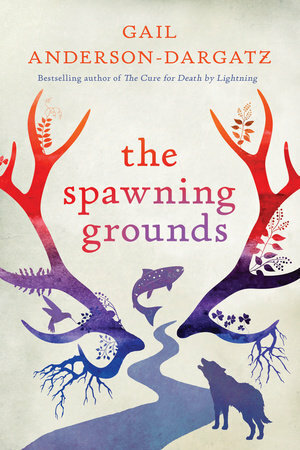 Shauna Kosoris: What inspired your newest novel, The Spawning Grounds? Gail Anderson-Dargatz: There are so many things that inspired this story, but the short answer is: the Shuswap-Thompson landscape. This is my home region, in South-Central British Columbia. It’s a watery landscape of blue mountains and valleys and home to one of the most fertile salmon spawning rivers in North America. Salmon have an almost mythical significance for those of us living in this province. And, like so many others, I’ve been concerned about what’s happening to our rivers and our salmon. The landscape has always been something of a character in my writing, but in this book I wanted to find a way to make that landscape come alive as a living, breathing protagonist, or antagonist, depending on how you view it. In the narrative it’s a spirit, a powerful boy, who is fighting back against the force that threatens him: us. For more on this, and for photos and a video of that landscape, please see my blog titled The Landscape That Inspired The Spawning Grounds. You are the host of the Spawning Grounds Writers Retreat and the Providence Bay Writers’ Camp for adults. How did you get involved with those events? My husband and I host the Providence Bay Writers’ Camp, for adults, on Manitoulin Island in July from our summer home. Family initially brought us to Manitoulin but we fell in love with the island and ended up buying a home there. The Ontario writers I work with came up to visit and we quickly realized we had a perfect spot for a writing retreat. I’ve led workshops in one form or another for more than twenty years so setting up a retreat on Manitoulin seemed like a natural thing to do. Over the camp week, I lead morning writing workshops. In the afternoons and evenings we run other events like pottery lessons (my husband Mitch owns the Notch Hill Pottery) and star gazing on the wonderful Providence Bay beach. For more on that, please see the Providence Bay Writers’ Camp webpages. The Spawning Grounds Writers Retreat takes place at the Sorrento Centre on Shuswap Lake, BC, not far from where I live the rest of the year. This retreat runs in the fall, timed to coincide with the awe-inspiring sockeye run on the Adams River. This coming fall, 2018, will be a dominant run with millions of fish returning. The river literally turns red with them. I started up the Spawning Grounds retreat, in my home country, simply because I wanted to share that landscape with the writers I work with, particularly this time of year. Here again I lead morning workshops, but writers take the afternoon to write and explore the Sorrento Centre grounds and the surrounding Shuswap landscape. We then come together for dinner and evening social events. Those sound fantastic! As a teacher and mentor at writing retreats, you must work with a lot of emerging authors. What are the most rewarding and challenging parts of mentoring new talent? Us writers all face similar fears, and those fears play out in similar ways within our writing, very often leading to conflict avoidance and passive protagonists. My most challenging job as an editor and writing coach is also the most rewarding: helping writers to identify those fears and how they manifest in their writing. In the end this process is never just about craft. In learning our trade, we learn about ourselves and grow as both artists and as people. What attracted you to editing? Helping writers to rethink situation in order to develop their conflicts is an exciting challenge. The play of brainstorming with a writer on their project is just plain fun. And watching a given project grow along with a writer’s confidence in her own skills is so incredibly rewarding. I find that, increasingly, mentoring and editing is more satisfying than writing. And that’s saying a lot as I still love the process of writing. For me, the two go hand in hand. I’m a better editor because I’m a writer, and a better writer because I edit. I’m taking a little break from writing literary and have turned to writing YA as I find it so much more playful. I have a larger YA project on the go, a series that’s a bit on the dark fantasy side. I’m also doing a couple of YA projects for Orca Book Publishers. These are both hi-lo books for teens who are working to improve literacy skills. I began working with Orca on their Rapid Reads series, hi-lo books for adult literacy learners, some years ago. I really enjoy writing for this end of the educational market, helping both teens and adults to improve literacy skills. But perhaps the project I’m most excited about is a writing guide. I’ve wanted to write one for years and feel it’s time. Really, given the weight of teaching notes I have on file, I have this one written already. It’s just a matter of sculpting the material. How exciting; good luck with everything! I’d like to finish up with a few questions about reading. What book or author inspired you to write? Both my mother and eldest sister wrote, so my first inspirations were very close to home. Later I read Margaret Laurence and Alice Munro, like so many of my generation, and realized I could find inspiration from my own experience as a Canadian and as a women. It’s hard to believe it now that Canadian literature has exploded onto the world stage, but at the time, this was a revelation. Jack Hodgins was also a mentor, and helped me to sculpt The Cure for Death by Lightning. But the real inspirations for my earliest writing came, again, from the Shuswap-Thompson landscape and the stories my parents told me about it. Is there a book or author that you think everyone should read? For writers, the book I most recommend is Jack Hodgins A Passion for Narrative. I’m a writing guide junky and have many on my shelf, but I still feel this is one of the best out there. When it comes to fiction, I use Toni Morrison’s novel Beloved as an example of craft on so many fronts. In Canadian literature, one of my all time favorite novels is Alistair MacLeod’s No Great Mischief. But you know, there are so many fine novels being published every year in Canada that my list would go on and on. I’m thrilled and honored to see many of these novels in their rough forms long before they reach the shelf as published books. I know just what kind of investment in time and energy these authors put into their works. It really is a business run on love and passion. And what are you currently reading? Hah! Well, like most writers and editors, I spend my days reading! My poor middle aged eyes! At any given time, I’m reading several manuscripts from emerging and published writers for my mentorships and developmental edits. And for my current YA project, I’m finding inspiration on structure from a whole range of YA authors including, at the moment, Cassandra Clare and Canadian author Kelley Armstrong. But for pleasure, I turn to science books like Time Warped (Claudia Hammond), which is currently at the top of my pile, and science fiction (on my down time, I watch sci-fi shows and films). I’m one of those readers who has piles of books in the office, living room, bedroom, bathroom … and reads multiple books and varied kinds of books at once. (No literary snobbery here.) My dream vacation is a stack of books and a quiet beach. Come to think of it, I have that on Manitoulin!